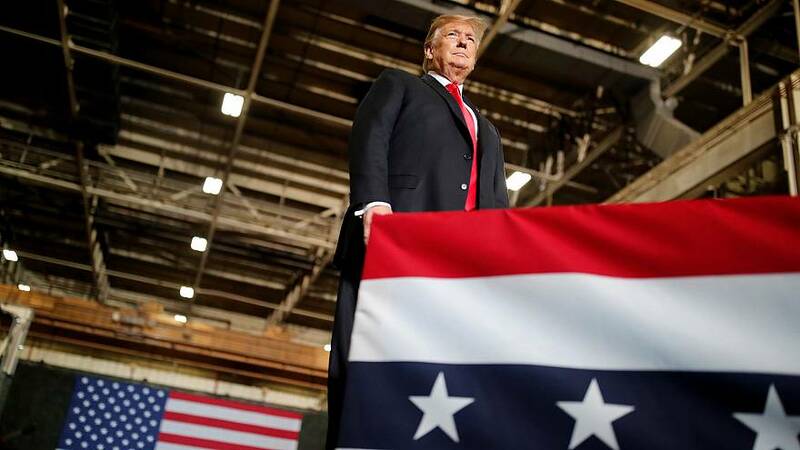 WASHINGTON — President Donald Trump hit the late Sen. John McCain with a fresh attack Wednesday, hammering the former prisoner of war as weak on veterans issues during a speech at an Army tank plant in Lima, Ohio. "McCain didn't get the job done for our great vets at the VA and they knew it," Trump said, arguing that's why he won support from military veterans during the 2016 election after calling into question the longtime Arizona senator's service record. Sen. Johnny Isakson, R-Ga., in a Wednesday radio interview with Georgie Public Broadcasting, denounced Trump's earlier remarks as "deplorable" — the term Hillary Clinton famously used to describe half of Trump's supporters during the 2016 campaign.